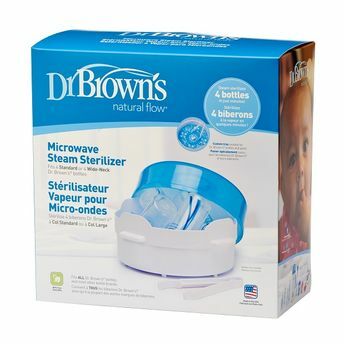 The Dr. Brown's Natural Flow Microwave Steam Sterilizer is a great way to make your baby bottles germ free, helping to ensure the health of your baby. To make your life even easier, it can also be used with other feeding accessories such as silverware and even plates. 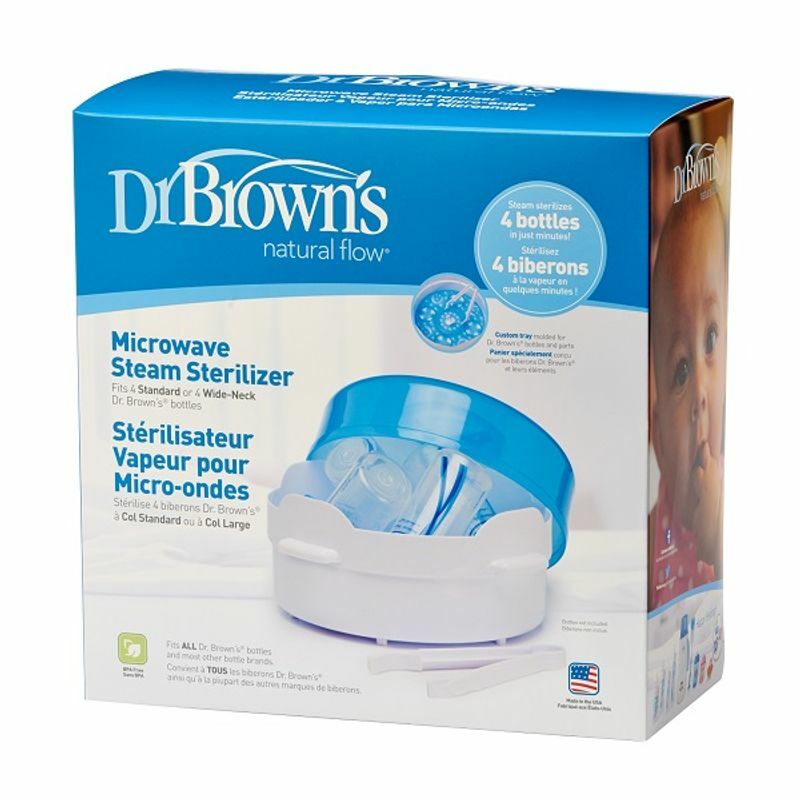 This baby bottle sterilizer is specially designed to hold either standard or wide-necked Dr. Brown's baby bottles.